There’s been a lot of buzz around Guava Island and, as the new film from Childish Gambino, featuring him and Rihanna in a relationship on a Caribbean island, it’s really not difficult to see why. Now, though, we don’t have to wait any longer for the film first teased at the rapper/director’s Pharos Festival in New Zealand last year (which also features Letitia Wright and Nonso Anozie). It’s out now, and we’ve gathered everything you need to know about it below. As expected, Coachella visitors got the first chance to see Guava Island, as it premiered at the festival with an appropriately-themed event including “stilts, fruit, tie-dye blankets and more” (April 12). Don’t worry, though: if you weren’t there – or you missed the YouTube livestream, which sees Donald Glover’s film take over all three channels – it’s now also available on Amazon Prime for free (or for members after the first day). “The seven gods of the seven lands created the duelling truths, Love and War.” That’s according to Rihanna, anyway, who relates the tale in a voiceover as Kofia Novia, a lifelong resident of the island. She then goes on to explain that Guava Island is a place the gods created for humans to get away from these elements. But according to the myth, there’s also a worm native to the island that makes blue silk; any man that sees this silk falls in love with it, and war inevitably follows. 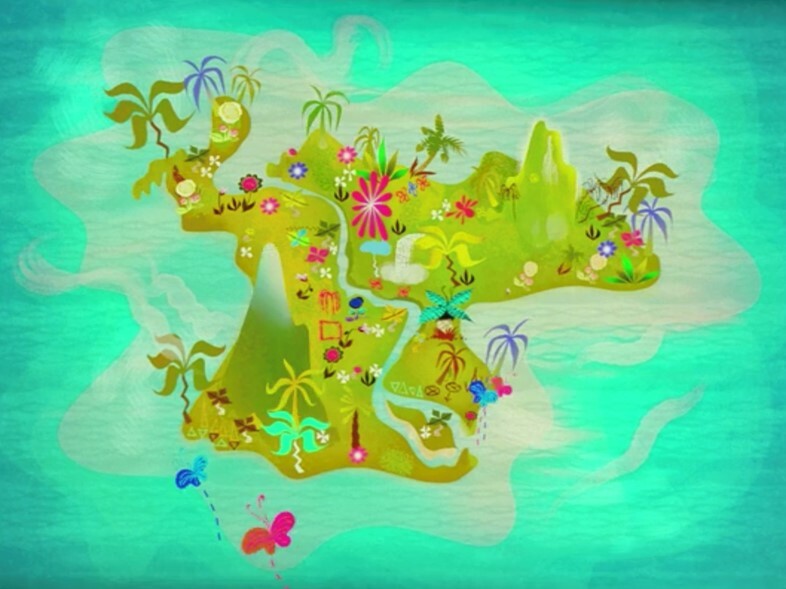 In-keeping with the visuals for the film’s Spotify teasers, Guava Island’s first five minutes come in the form of a stylised, colour-saturated animation. This covers the aforementioned creation myth, but also deals with the blossoming romance between Deni (Childish Gambino) and Kofi. It also hints at Deni’s run-ins with the law, with a Caribbean-inflected soundtrack. Perhaps surprisingly, Rihanna doesn’t contribute to the musical numbers in Guava Island, just serving as the narrator and showing off her acting abilities. Childish Gambino doesn’t hold back, though. As well as the tunes we got to see in the original trailer, he reworks a variety of existing songs – especially in the festival sequence – with some dance moves that will be recognisable to fans. Living up to a brother like Donald Glover must be no easy task, but as a lead writer for Atlanta, as well as a writer for SNL and now Guava Island, Stephen Glover definitely has enough of his own achievements under his belt. 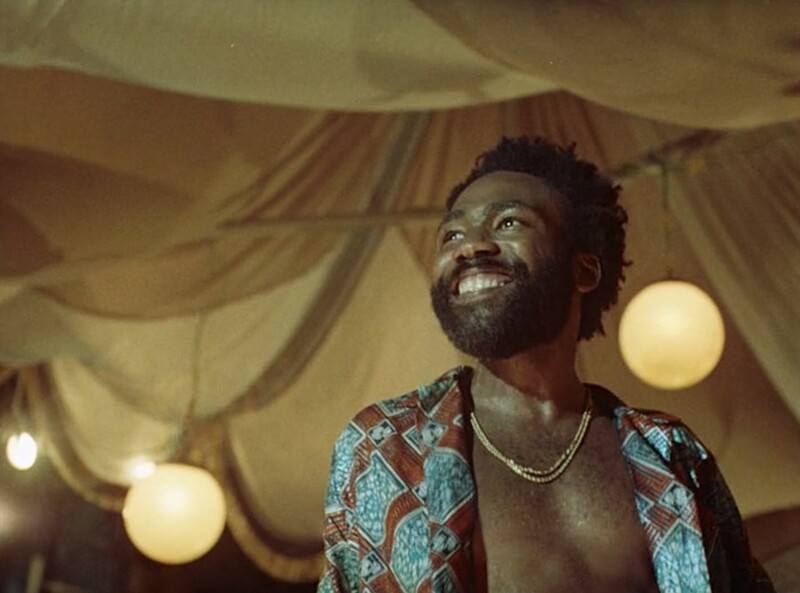 The Glovers have also teamed up with Hiro Murai again for Guava Island, after his huge success directing Atlanta and various Childish Gambino music videos.